Withrow & MacEwen's Small Animal Clinical Oncology 4th ed. Cancer in Dogs and Cats Medical and Surgical Management 2nd ed. A major lipid raft protein raftlin modulates T cell receptor signaling and enhances th17-mediated autoimmune responses. Saeki K, Fukuyama S, Ayada T, Nakaya M, Aki D, Takaesu G, Hanada T, Matsumura Y, Kobayashi T, Nakagawa R, Yoshimura A. *J-J.P., R.O., and Y.M. contributed equally to this study. Cancer Immunol Immunother. 2012 Feb;61(2):203-14. Expression of anti-HVEM single-chain antibody on tumor cells induces tumor-specific immunity with long-term memory. 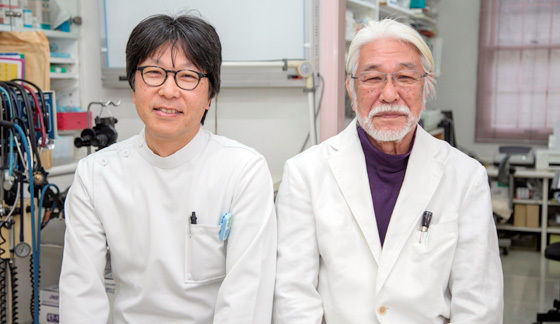 Park JJ, Anand S, Zhao Y, Matsumura Y, Sakoda Y, Kuramasu A, Strome SE, Chen L, Tamada K.
TLR7 ligand augments GM-CSF -initiated antitumor immunity through activation of plasmacytoid dendritic cells. Narusawa M, Inoue H, Sakamoto C, Matsumura Y, Takahashi A, Inoue T, Watanabe A, Miyamoto S, Miura Y, Hijikata Y, Tanaka Y, Inoue M, Takayama K, Okazaki T, Hasegawa M, Nakanishi Y, Tani K.
Yinxia Huang*, Yumiko Matsumura*, Shinya Hatano, Naoto Noguchi, Tesshin Murakami, Yoichiro Iwakura, Xun Sun, Naoya Ohara and Yasunobu Yoshikai　*Equal contribution.